On the last day of June, a totally new train-tram service was brought into service in Paris, which is the capital of France. This large European town began to extend its tram network bit by bit since 1992. However, it is in the last 10 years that Paris tram system have grown substantially. So, with getting yet another Train-Tram service in operation. Paris is heading towards right direction! In the northern part of Paris, where T11 Express is now running. It connects RER, Metro and the more regular tram routes that have been expanding a lot in the last years. T11 Express now connects RER B line, RER D line, T8 Tram at two places and also RER at Epinay-sur-Seine station. It only crosses the T5 tram line though. So, now you can take the T11 Express from Epinay-sur-Seine in the north west Paris area to Le Bourget in the north east area. This new line got only 7 stations, but is a train-tram type that runs much faster than a ordinary tram. A small thing here to add though is that this tram line runs a left-side direction service that you can read about here. Tram line T8 etc is part of the city tram network that this line connects to. That one and the Metro lines runs a right-side direction service. However, the RER lines also runs a left-side direction service like T13 does. So, be aware of this when you are in Paris. This services is served by 15 Alsomt Citadis Dealis tram-trains which is procured by national rail operators SNCF in France. The first of the wagons was delivered in August 2015 and they are stabled at a new depot which is near Noisy-le-Sec. Formerly known as the Tangentielle Nord or Tram-Express Nord project, T11 Express is planned to become a 28 km route between Sartrouville in the northwest of Paris and Noisy-le-Sec to the east. 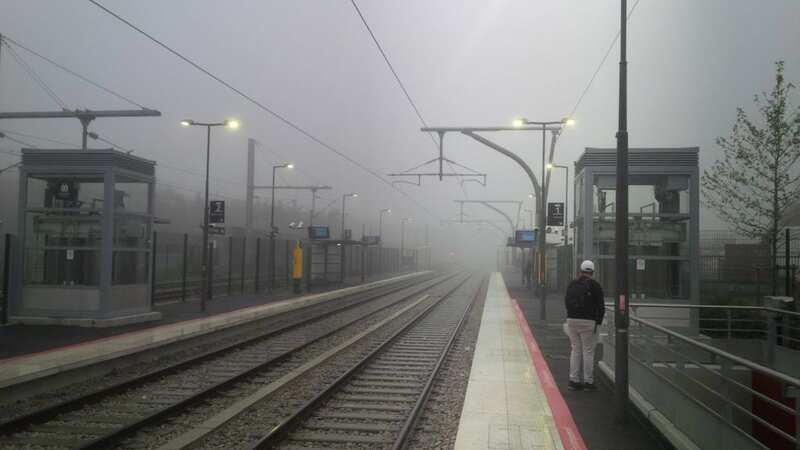 photosource: Distrita – Foggy day when testing the T11 Train-Tram service in northern part of Paris. Regular tickets in Paris isn’t compatible here. Remember that! With T11 Express opened. The trams is now making their way to the streets of Paris. There are still tram lines under construction. 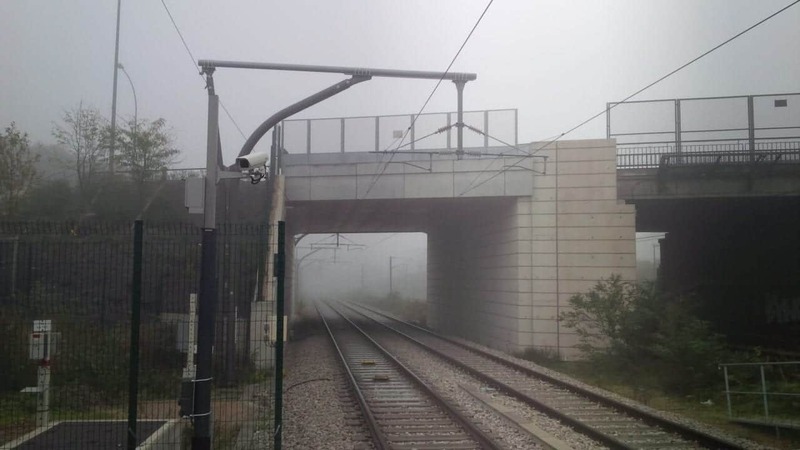 An extension of the T4 tram line that is not so far from the new T11 Express line is under construction from Gargan to Montfermeil-Hopital. Then we have T1 which will be extended to the west a bit. T3b line is also getting a huge work as it will reach Porte d’Asineres soon. T9 is also a completely new tram line that will run from Porte de Choisy to Fer a Cheval in the southern part of Paris, but this one will be finish by 2020. Paris is for sure a city that is thinking about its health. The size of Paris and French peoples interest in preserving its health is something that ALL of the worlds cities should think of. Gogo Paris! This is for sure a really great thing to do. The only thing that Paris should fix is the direction confusion that the different transit system got. Also, the ticket system is very not friendly towards tourists as you can read from another Distrita Team experience by reading that article here. Expanding it’s Metro lines also! Not only the trams is reaching new areas in Paris! Metro Line 7 is now getting built from Pont de Sevres to Noisy Champs in the east as a completely new Metro line in Paris. Also Metro Line 4 is getting a small extension that will reach Metro Line 7 at Bagneux station. 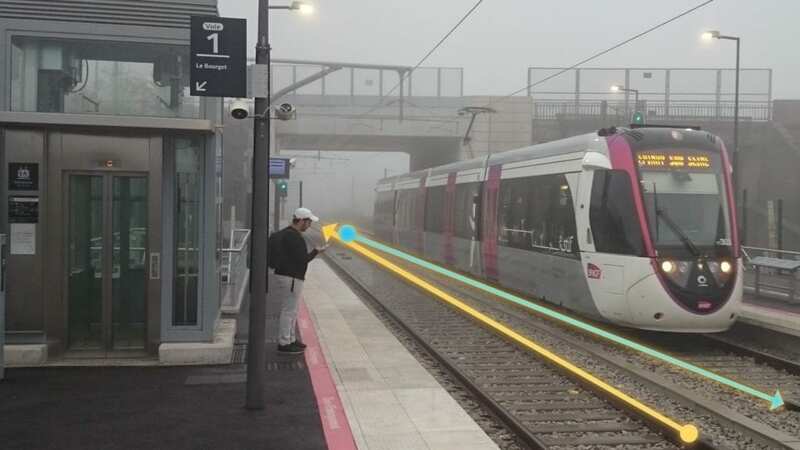 Then there is Metro Line 11 which is getting an extension to Rosny Bois Perrier where it will meet RER Line E.
Paris is an example on how important it is to extend and improve peoples public transit possibility. Once people get this services, it will ease the car traffic in the areas for sure. People will rather take a Metro or a Tram that can avoid long queues at roads. Especially in rush-hours. So, either you like transit or not. These new lines and extensions makes Paris a much better city to live in. A big high five to this amazing and beautiful capital in France. photosource: Distrita – A really fast tram-train line for sure! Shopping hell for men discovered!